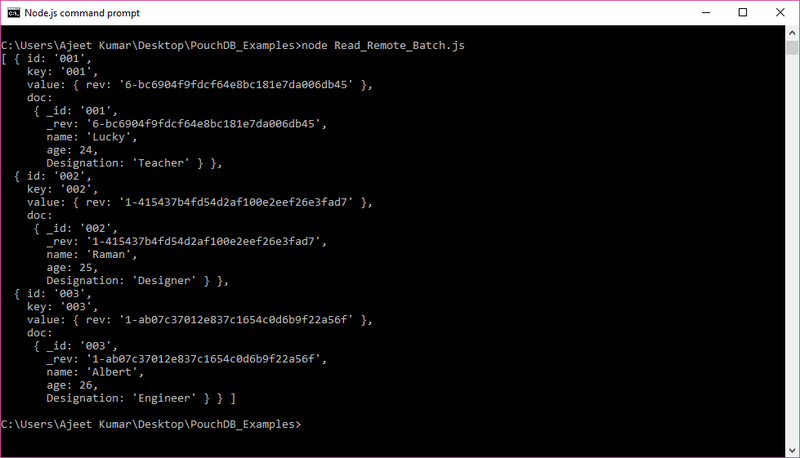 The bulkDocs() method is used to update an array of documents in PouchDB. 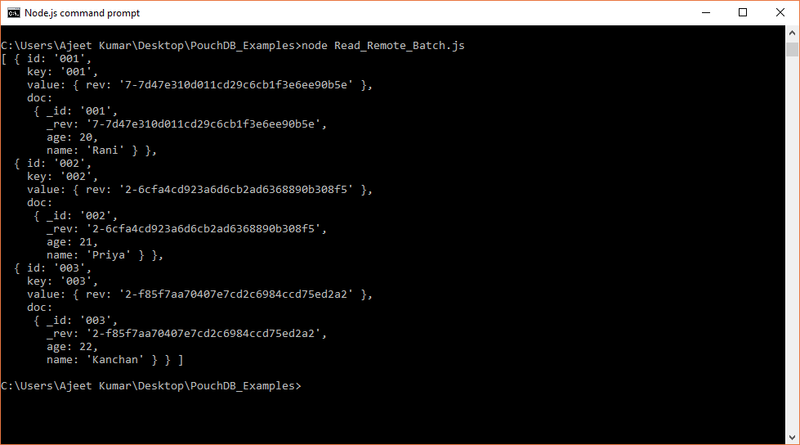 To update a batch, you have to create an array of documents where, each document contains _id, _rev and the values that you want to update. We can also update an array of documents in a database that is stored remotely on a server (CouchDB). You just have to pass the path to the database in CouchDB, which contains the document that you want to update. 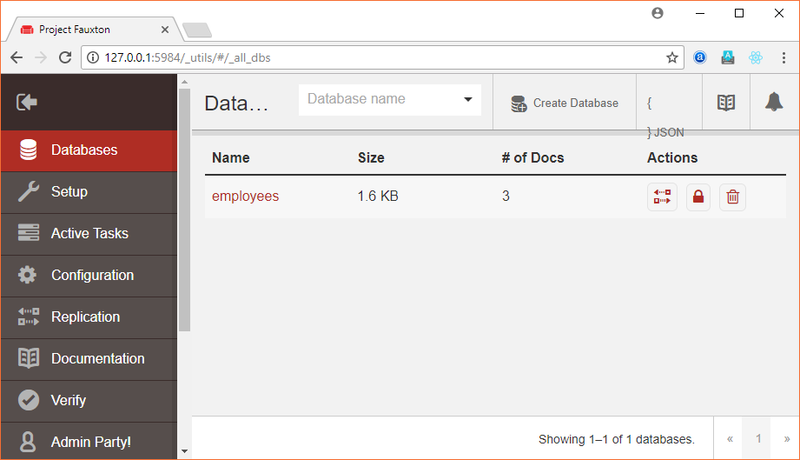 We have a database named "employees" in the CouchDB Server. 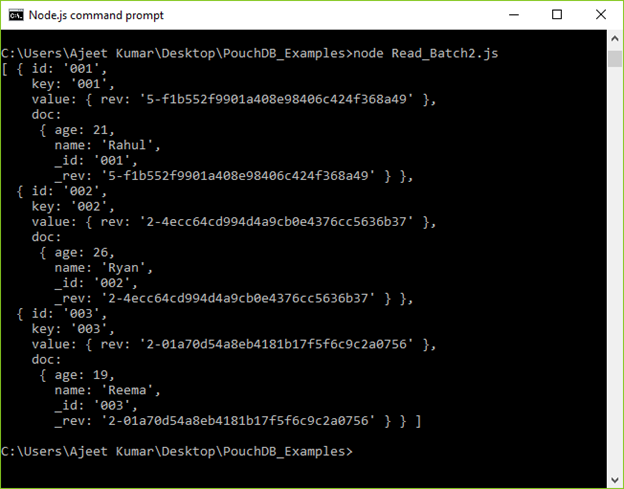 You can fetch these documents by using node (Read_Remote_Batch.js) command. 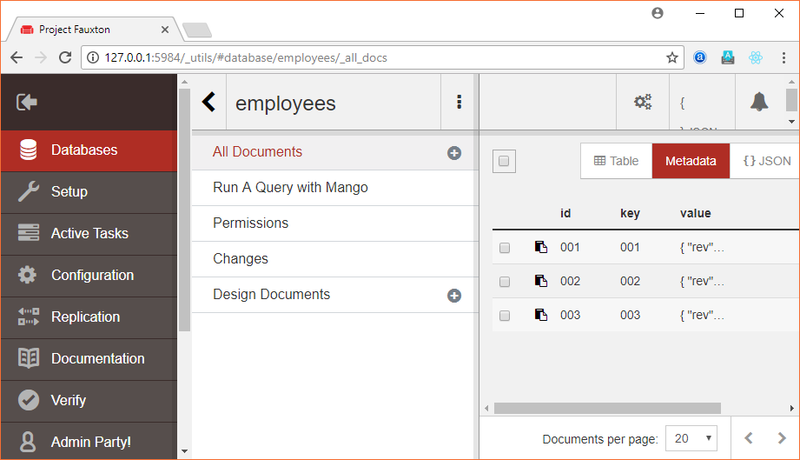 Now update all the documents name and age of "employees" database stored on CouchDB Server. It will update the documents in "employees" database.